All December graduates of Belmont’s Masters of Science in Nursing (MSN) program for Family Nurse Practitioners (FNPs) passed the national certification exam on their first attempt. The College’s 100 percent first-time passage rate for all graduates – both MSN and DNP – has continued since 2004 and is well above the national average passing rate of 84 percent. 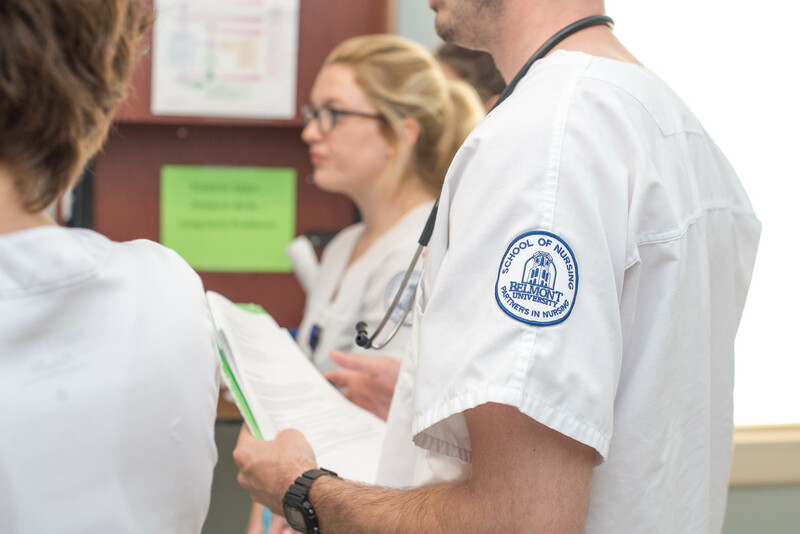 The School of Nursing began offering its MSN degree more than 20 years ago and with the addition of the Doctor of Nursing Practice degree in 2012, Belmont’s health sciences graduate programs continue to grow. Prepared to practice in a variety of settings, FNPs provide primary health care to families and individuals across the lifespan. Belmont graduate nursing alumni practice in a wide range of settings including primary care, pediatrics, genetics, urology, and public health. Certification for FNPs is achieved through either the American Nurses Credentialing Center or the American Academy of Nurse Practitioners Certification Board. Both certifying agencies offer rigorous examinations that validate nurse practitioner skills, knowledge and abilities. All but three states and virtually all employers and third-party insurers require board certification as a prerequisite to nurse practitioner practice.